Is it all sweet FA?? I am not really overly concerned, as difficult as this may sound, on whether John Terry did in fact say what he is allegedly accused of saying to Anton Ferdinand – the courts will decide that. 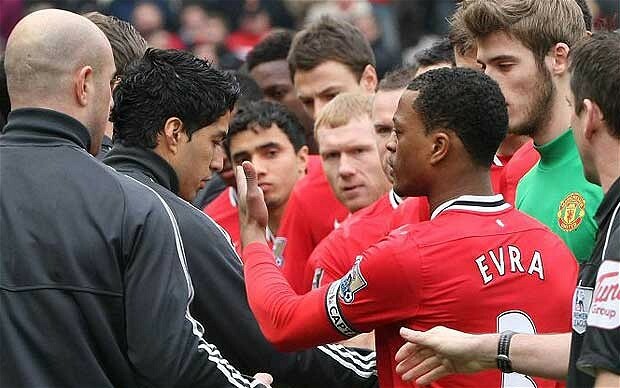 Nor am I too worried about the immature behaviour Luis Suarez displayed on Saturday’s match between Manchester United and Liverpool when he choose wilfully not to shake the hands of Patrice Evra post his 8 match ban due to accusations of racist language – the Liverpool establishment will no doubt deal with that.